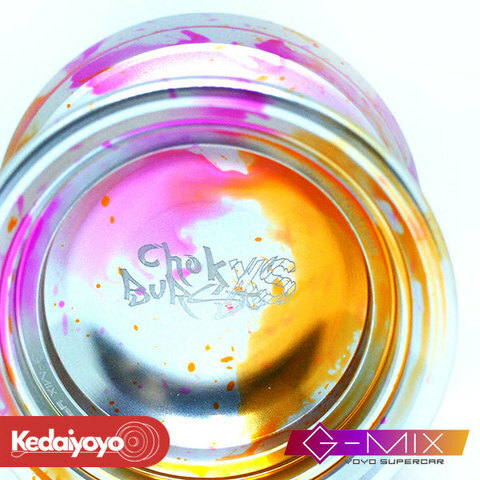 G-MIX 2018 the latest product "ChokBurstXS" on sale. From the first edition of Chok Burst, to the third version now. 3 years of sincerity and persistence to light up the G-MIX brand. G-Mix have assembled players' needs, with comprehensive performance and high performance-price ratio. Six months of re proofing test, the integration of team members' test, the final version uses a more elaborate weight distribution, equipped with G-MIX's patented three sections ancestry design. The yoyo has long rotation capability and has more comprehensive performance. This is the craftsman spirit of their products.